Is it possible to need reasons to move to Florida? After all, the Sunshine State is hardly a backwater nor does it battle with nasty winter conditions. Still, if your boss comes to you and says he wants you to establish a new base in Fort Meyer or Kissimmee, you should seriously consider Florida and for the following 12 reasons. The topography suits you. Yes, let’s face it: you’ve always wanted to live in the tropics with palm trees swaying, colorful birds flying, and alligators prowling. Okay, forget the last thought — you’re not about to live anywhere near Alligator Alley in the first place! The state is a melting pot. If you value diversity, Florida has it. It attracts people from all over the Americas and brings in people from Europe, Asia and Africa too. There is a reason why the state is growing so fast — people want to live where its at. Jobs are plentiful. Every area of the country has its employment challenges, Florida included. Yet, the job market is strong thanks to tourism and with an aging population and booming trade, there’s always something to do in Pensacola, Orlando, Miami, and St. Petersburg. Vacation in place. No need to spend thousands of dollars on your next vacation. Travel anywhere in Florida and you’re already on vacation. And, if you want to travel far, cruise lines serve the state like none other. Citrus is freely available. It is true: you can grow and pick citrus right from your yard. Oranges, tangerines, grapefruit and a host of other citrus are available for the picking. Enjoy fresh fruit year ‘round with the supermarket expense too. Disney isn’t the only attraction. Florida means Disney World to so many, but it isn’t the only place to find entertainment. Sea World, Epcot, golf courses, beaches, and parks galore are found across the Sunshine State. This is no knock against Mickey Mouse, but it shows us that there is a lot more to the area than the world’s most famous attraction. Its a great place to own a car. If you are a car collector, Florida is an ideal place to live. Warm weather and no road salt will help your car last longer. Sure, if you live close to the coast you’ll have to deal with sea salt, but you’ll be washing that off each time you tend to your cars. You’ll have a lot of visitors. Moving to Florida and you’ll never have to worry about having visitors again. Everyone will want to visit you, so find a place large enough to accompany them all. You can retire in place. Live in Florida, retire in Florida. When you’re in Florida, there is simply no reason to move elsewhere to live out your days. 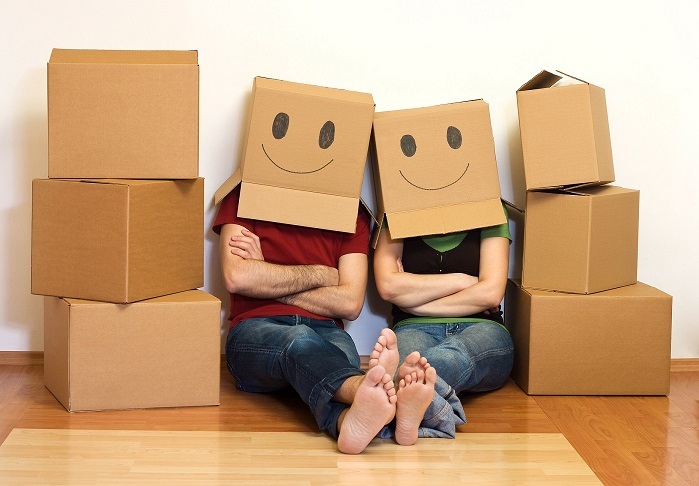 Moving is easy and getting back home for visits is no problem. The interesting thing about living in Florida is that flights to wherever you want to go are cheap. After all, people want to get to Florida and if you want to return home for a visit, you’ll save a bundle on airfare. The cost of living is lower. Sure, to live in Miami and Tampa Bay you’ll pay a high rate to live, but millions of Floridians live in other cities as well as communities. Your housing costs will be lower and your utilities will come in reasonable. Taxes in Florida are lower too. There is more to Florida than you know about it. Florida is much larger and diverse than many people realize. Rolling hills in Tallahassee, the modern Jacksonville skyline, and historic St. Augustine give this state both flair and distinction. Plan your move to a warmer climate carefully and you’ll leave behind all the trappings of winter. That’ll lower your moving costs and have you on your way to the Sunshine State in no time explains North American Movers.